Heat oven to 425°F. Spray cookie sheets with cooking spray, or line with silicone baking mats. 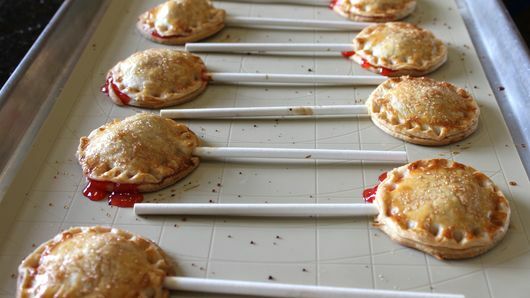 To make each pie pop, lightly press lollipop stick into crust round so that it rests in center. Top each round with 1/2 teaspoon pie filling; cover with second crust round. 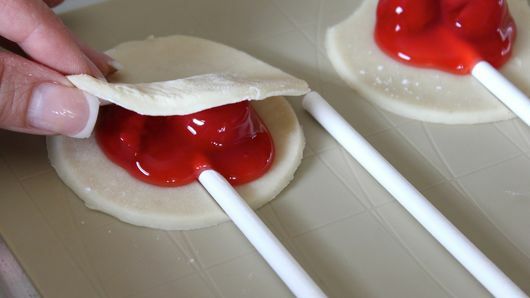 With fork or lollipop stick, press around edges to seal. 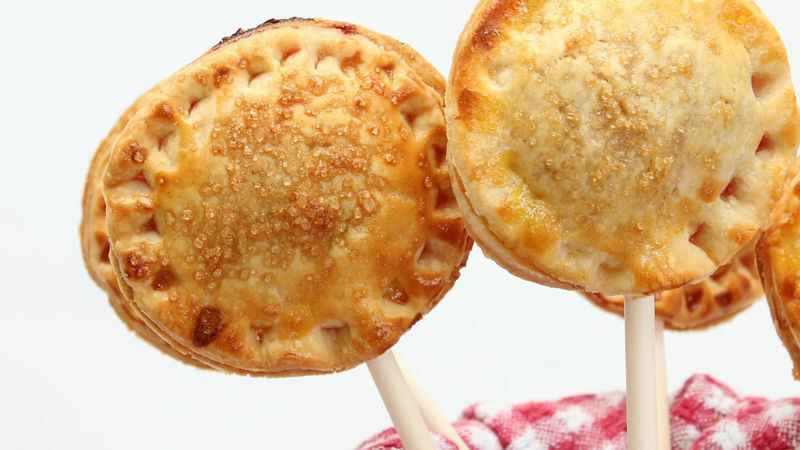 Brush tops of pops with beaten egg; sprinkle with sugar. Bake 15 minutes or until golden brown. Remove from cookie sheets; cool completely on cooling racks. Any pie filling will work for this recipe. If you want to double the recipe, one 21-ounce can is more than enough pie filling for 2 boxes of pie crusts.